is there ever a bad time for banana bread? i think not. Last night, I was struck with the ultimate dilemma. I had been cleaning up my dishes following dinner and there, right there on the counter, were some uber ripe bananas. Banana bread instantly flashed across my mind. I am a deep lover of banana bready goodness, but it can often be wildly unhealthy so I knew I had to play my cards right. 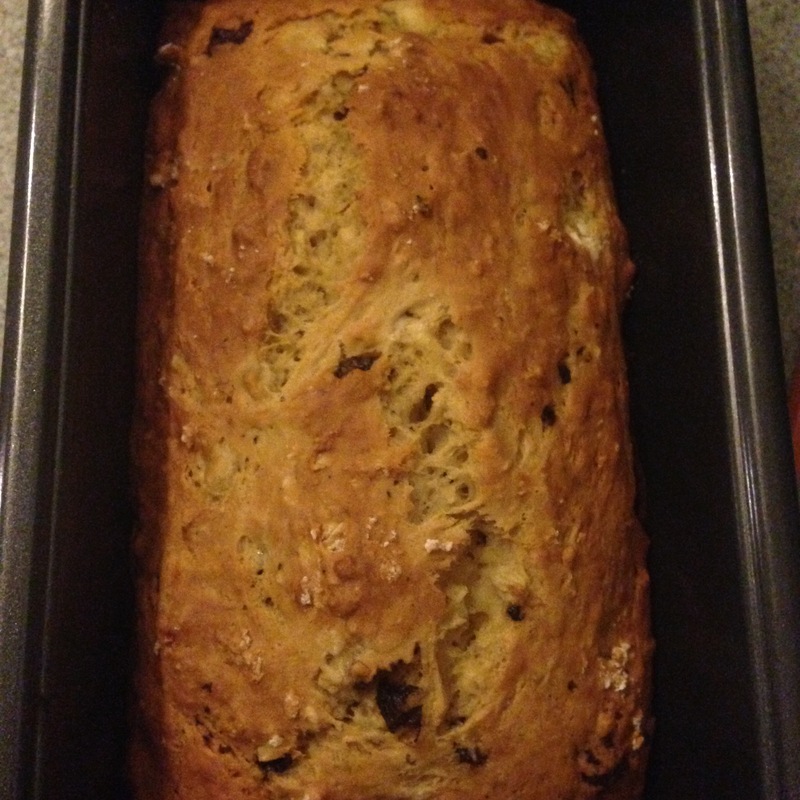 I headed to my cupboard and threw together this delicious banana bread goodness. It even got high marks from my boyfriend, the ultimate taster. Preheat oven to 350 F. Combine dry ingredients, and mix well. In a separate bowl, combine wet ingredients and mix into dry. Do not over mix. Pour into a greased loaf pan and cook for 40 minutes or so. After removing from the oven, let cool for ten minutes before slicing. It’s so good with a little peanut butter spread over it and it’s so light that you can eat a whole bunch and not feel all that bad haha! Let me know if you try it out. We need to talk about why people give up on their fitness journeys. Day in and day out people decide they’re going to start working out to lose a couple extra pounds or to fit into a smaller dress or to get back at someone by proving they can be slimmer and leaner. These are not good reasons to start working out. These are the type of reasons that lead people to quit. If you want to stick with it and truly see a change, you have to embark on your journey for the right reason. You need to want to take care of yourself. I found this quote the other day and I love it. I think far too often, we don’t prioritize correctly. We spend all day stressing about our jobs, our homes, money, all of these things that are really just fleeting. At the end of the day, you are responsible for one thing and one thing alone, your body. You have to take care of yourself. No one else is going to do it for you. One of my proudest achievements since starting to workout is motivating others to do it along with me. Prior to starting, I didn’t care at all about what I ate, how much I moved, what kind of things were going into my body, and what I was really doing to it. Age seemed like an inevitable thing that just happened no matter what you did to keep it at bay. As I started to pay more attention to nutrition and exercise, I realized that my body is like a machine. The better fuel you put in, the better performance you get out. I started diving further in to educating myself on the subject and took my father down the rabbit hole with me. Together, we motivated each other from a far, each day striving to be a better us than we were yesterday. And slowly, but surely, we’re getting there. We have already seen remarkable improvement over the years; my dad’s trimmed down quite a bit and is more conscious of the foods he’s putting into his body and I have grown more muscles and put more emphasis on eating more of the right stuff, not less of the wrong stuff. We took time to make ourselves priorities. You get one life to live, why wouldn’t you want to live it for as long as possible? Just move for one hour a day, that’s all I ask. I don’t care if it’s a walk around the block 20 times, just move. That’s a step in the right direction (actually more than a step if we’re being technical, but who’s counting ;)). Drink an extra glass of water. Go to sleep a half hour earlier. Practice yoga for 30 minutes. Anything. These little changes add up and they will help you in the long run. So, even though you may be 22 years old and reading this and thinking you have all the time in the world to make these changes, why not start now? What’s stopping you for setting you up for success now?